Bloomberg news reviews BMWs use of carbon fiber for savings of weight and fuel efficiency in the new plugin electric microcar i3, comparing them to other European car manufacturers in their strategy to be the king of new green tech in automotive performance. Did you know that creating carbon fiber for the new BMW i3 involves stripping carbon atoms from acrylic threads, assembling mats from the carbon crystals and then injected with a plastic-based resin? 2012-14 BMW Z4 sDrive28i sports cars. All are equipped with BMW’s 2.0-liter four-cylinder turbocharged engine and have exhibited a problem where a lack of oil in the brake system can cause the brakes to require much harder brake pedal pressure by the driver’s foot in order to slow / stop. New BMW 235i photo leaked before official launch! Hey, check out the replacement for the E87 1-series! It’s the new M235i, which won’t be available until model year 2015. The normal 2-series will be released on October 25th, 2013, with the first in-depth views of the new model coming during the Detroit Auto show. Keep it tuned here for more photos! BMW will produce a “Z2” that will be about the size of the original 1990’s-era “Z3” roadster. Slated for release sometime in 2015 and for production for model-year 2016, this roadster will be front-wheel-drive vehicle. The Z2 will be a two-seat roadster based on the new multiplatform, front-wheel-drive UKL system which will be used for multiple models from the new MINI, the X1 and possibly this new Z2 model. As the replacement for the venerable BMW F30 3-series coupe, Car and Driver expects much from this new Coupe-specific model and they report improvements in handling, steering feel, and overall comfort. 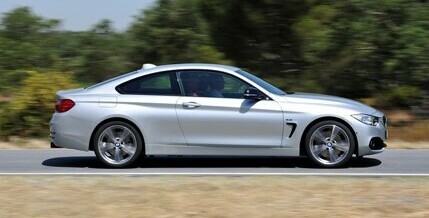 Here they test the European sport model F32 435i with the $1000 optional dynamic handling package. Read the review at Car and Driver. BMW CEO Norbert Reithoffer recently gave an interview to Bloomberg about BMW’s attitude on and commitment to hybrid and electric vehicles. Eric Sargent details the upcoming version of the iDrive 4.2, with built-in Audible audiobooks, Rhapsody music streaming, 3d graphics processing, as well as 200GB of storage for apps and music. Alpina offers special tuned BMWs direct from the factory with special wheels, drivetrain and trim. They have just released a new Europe-only model based on the BMW X3, called the Alpina XD3. The new model features a twin turbocharged 6 cylinder diesel motor with 350 horsepower and 516 foot/lbs of torque.